Papi Edwards, 20, was fatally shot in a hotel parking lot by a man police have now charged with murder. 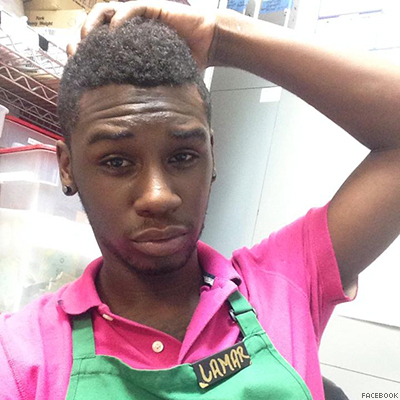 Police have made an arrest in the January 9 murder of 20-year-old black trans woman Papi Edwards in Louisville, Ky. Two days after Edwards’s death, Louisville Metro Police charged 20-year-old Henry Richard Gleaves with murder. Edwards' identity was initially subject to contradicting reports that alternately identified her as a trans woman or gay man after an initial photo released to media included an image of the victim wearing a long-haired wig. A friend of the victim informed The Advocate that Edwards identified as a gay man and likely participated in drag. Local media reports have also referred to Edwards with male pronouns and a male birth name. However, BuzzFeed News reporter Dominic Holden launched an in-depth investigation that appears to indicate Edwards did identify as a transgender woman, and was presenting as a woman when she was killed. The Advocate has updated its reporting on the case to reflect Edwards's female identity. Although police are not treating the murder as a hate crime, Edwards's friends stressed to BuzzFeed that their friend was shot to death after the suspect became upset about the fact that Edwards was transgender. Edwards, who was originally from Indianapolis, died shortly before 11 a.m. January 9, after being found by police in the parking lot of the Fern Valley Hotel with one gunshot wound to the chest, reports Louisville TV station WAVE. She was declared dead on arrival at a nearby hospital. At his January 13 arraignment, Gleaves pleaded not guilty, reports WAVE. He is currently being held on $500,000 bond. Anyone with information about Edwards’s death is asked to call Louisville’s anonymous tip line at (502) 574-LMPD.